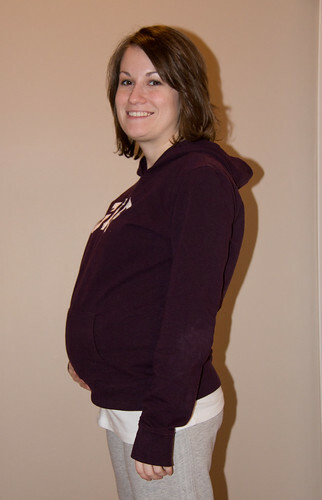 Maternity Clothes: i'm wearing all maternity clothes now, except for tshirts and pajamas. Movement: i feel good movement. he's most active around 9pm. Sleep: i've been sleeping good! What I miss: nothing really. Symptoms: i'm starting to wear out much easier and faster.